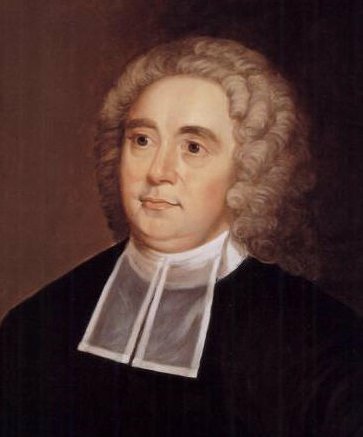 George Berkeley had a theory of immaterialism in which he theorizes that objects do not exist and that they are actually perceived by the individuals. In The Matrix, the question “What is real?” can relate to George Berkeley’s Theory of Immaterialism. The Theory of Immaterialism relates to the film The Matrix through the idea of finding out what is real and what is not. Idealism of perception in the mind of what is real and what is not. A very big connection I found was between the theory of Immaterialism by George Berkeley and The Matrix. A part of the movie in which this topic is very relevant is when Neo and Morpheus go and visit the Oracle, Neo walks in to the family room of the Oracle’s apartment and he sees a skinny boy bending a spoon. When Neo, sees this boy a great amount of interest grew in him. The Spoon Boy told Neo “Do not try to bend the spoon that is impossible instead, only try to realize the truth,…that there is no spoon, then you will see that it is not the spoon that bends it is only yourself” (Wachowski 72). I found this part of the movie to have direct connection to George Berkeley’s theory of Immaterialism because Berkeley believed that there are no objects in reality and that they are all perceived. As well as everything we do with the objects, they are all perceptions of our mind. Most objects that we believe we see such as tables and chairs are perceptions of our minds and only exist in our minds. If a person doesn’t perceive an object, then the object doesn’t exist. Berkeley believed that our minds constantly perceive, without us trying to perceive, it comes naturally to our minds, but without perception there wouldn’t be any objects. telling my brain that it is juicy and delicious. After nine years, do you know what I've realized? Ignorance is bliss” (Wachowski 61). This is very similar to what Berkeley believed because it’s saying that how you feel, smell, taste, or see is just the mind. How their food tastes like is what their minds make them believe. If as an individual they decided to eat a steak, they would imagine a steak and think of all the qualities that a steak is known to have. An example that George Berkeley used when describing his theory was that when you think of a cherry you “perceive the sensible qualities such as the colors, flavors, and textures”(Atherton 87). All perceptions are very reasonable and natural. A different part of the movie that was very big in perception was in Neo’s first day of training. Morpheus and Neo were fighting each other, and obviously Neo didn’t believe in himself and Morpheus gave him a beating. After this Morpheus told Neo ‘Come on, Neo. What are you waiting for? You’re faster than this. Don’t you think you are. Know you are.” After a moment Morpheus jumped to the next rooftop and Neo thought he could do it but didn’t believe, he failed like it was expected by the rest of the members. Morpheus told Neo “your mind makes it real” and that he has to believe in himself in order to accomplish what they believe he could accomplish. At this point Neo didn’t believe and wasn’t able to complete the jump. “Everyone falls the first jump, right Trinity?” said Cypher (Wachowski 51). Cypher said this because nobody believes in the beginning and it’s not until they realize they have to believe in order to accomplish. There is a part in the movie where Morpheus tells Neo “Do you believe that's air you are breathing now? (Wachowski 48)” Morpheus tells Neo this with the only idea to make Neo believe that everything is what our minds are being told by our brains. Again, it goes back to the theory of Immaterialism by George Berkeley, connecting in the way that all objects are perceptions of the mind. The way that Morpheus tells Neo that he has to have fate and believe is all forms of perceptions that the mind makes. The reality and truth all come from the mind according to Morpheus and George Berkeley. They all become perceptions of the mind. Neo starts perceiving that he is stronger and that he could do what he believes when he goes back to save Morpheus with the help of Trinity. When Neo’s mind started perceiving that he was stronger, faster and the chosen one he became the person that everybody else believed he was. All that was needed for him to be this guy, was his own fate and believing in himself. Neo’s perceptions of being stronger and made him the strong guy that they all believed was the chosen one. Immaterialism is the idea of perception and as an individual deciding what is real or not. Like in The Matrix all the members perceive their abilities and strengths that makes them who they are. The perceptions that their minds create is what they become and what they live up to. Especially Neo who couldn’t believe what he could get to be until he realized he needed to believe in order to save The Matrix. Immaterialism by George Berkeley and The Matrix have direct connection with each other because the main idea of both is that as an individual we create who we are and how we become. Perceptions that the mind creates of an individual becomes their reality.